They are my real passion! Right after starting my restaurant business, I set off researching local wines, comparing them very carefully. I followed the evolution of some very closely, and discovered that quality wines come up in time. The greater they are, the longer they have been aging. As time unfolds, wine releases new emotions. 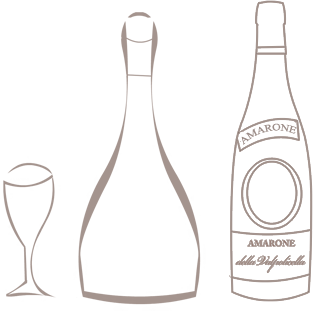 I keep several old vintages of wine in my cellar: first and foremost the “Amarone della Valpolicella”. We offer wide assortment of wines, from our region and other regions, by the glass.